Provincetown October 12 through the 18th. There is no festival that celebrates women like Women’s Week. Come to Provincetown to see some the of the best women performers and comedians, the schedule is packed. The list of entertainers includes Suzanne Westenhoefer, Jennie McNulty, Vickie Shaw, Kate Clinton and Suede in concert. Check here for the schedule of events. Due to a couple of cancelations The Somerset House Inn has some excellent availability for Women’s Week. 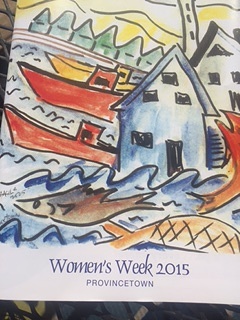 Make a long weekend of it and come to Provincetown, enjoy the great fall weather and the Women’s Week festivities. We have a program book with your name on it!